Happy Friday to you!!! Remember the giveaway that I posted for McCormicks 125th anniversary? Well you may recall that there was a smoothie in one of the pictures. 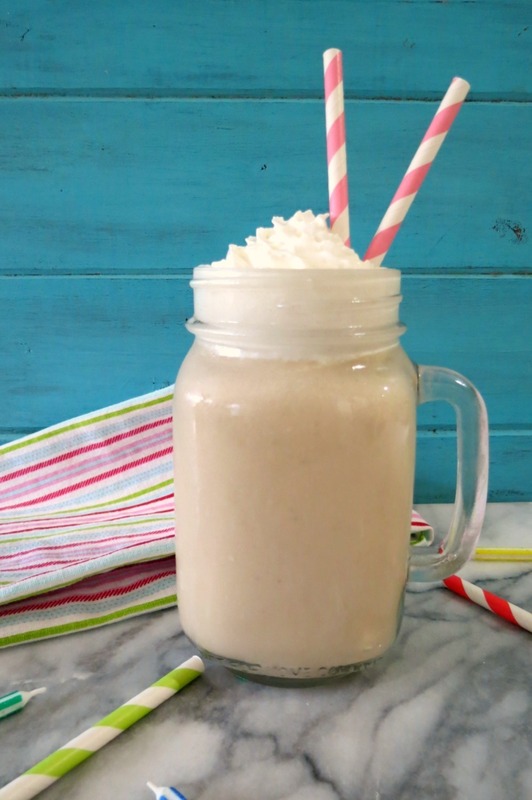 Well today I am sharing with you my Root Beer Float Smoothie recipe. Yummers! This smoothie is amazing! 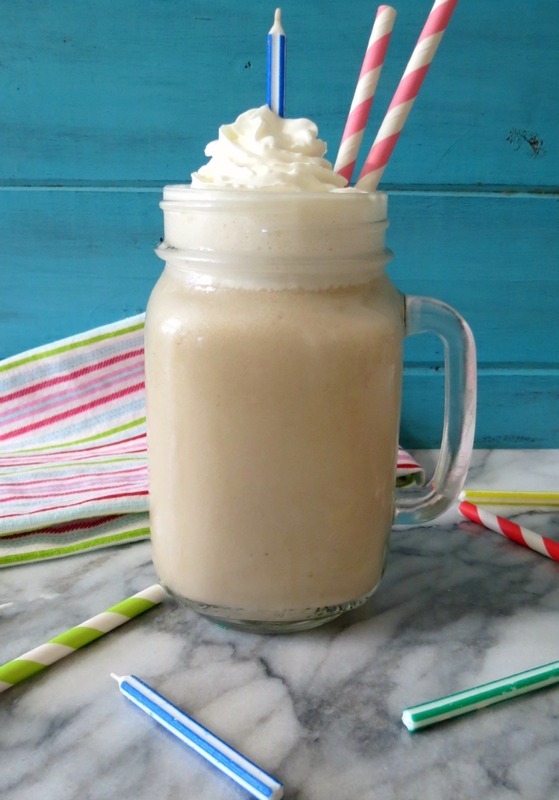 It’s creamy,smooth, sweet and tastes like a root beer float with a hint of banana. Oddly enough banana and root beer go pretty well together. I was a little unsure at first, but my taste buds were pleasantly surprised and happy. I went with a banana because I wanted an ice cream type texture in my smoothie. After all I am trying to mimic a root beer float. Besides a banana, I also used greek yogurt, coconut milk and of course McCormick’s Root Beer Concentrate. The root beer concentrate is wonderful and will give any dish you use it in a nice root beer flavor. A little bit goes a long way!! So don’t use a lot of concentrate. When I made the smoothie the first time I used to much and WOWZERS it was over whelming. 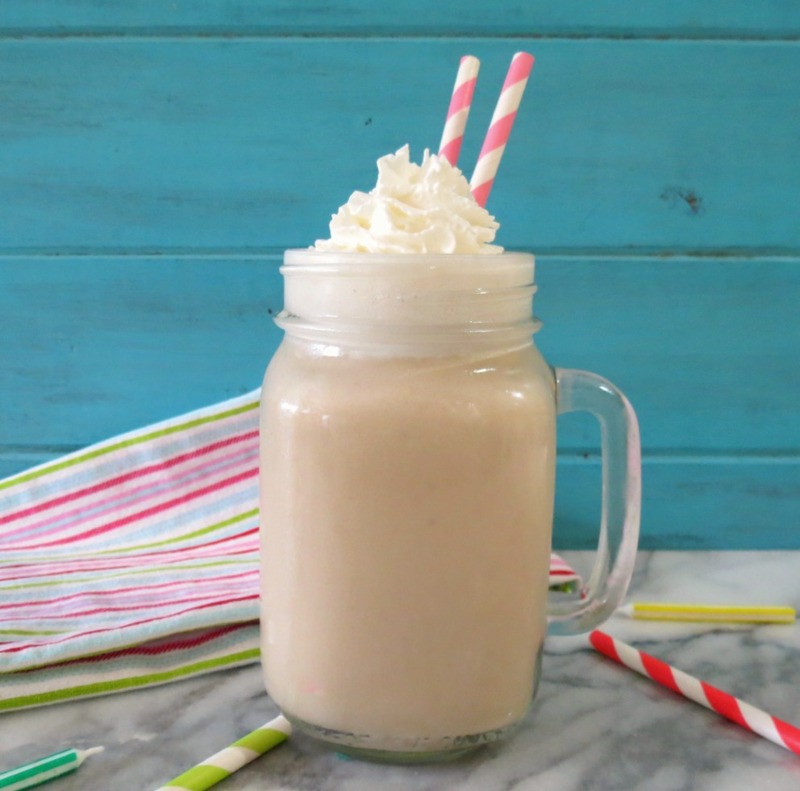 A cold, creamy, healthy drink that tastes like a root beer float with a hint of banana. I wanted to let you know I haven’t picked a winner for the McCormick gift pack a giveaway. The giveaway includes exclusive McCormick Anniversary Edition product (both black pepper and vanilla extract – not available in stores! ), a McCormick recipe book, and a branded canvas tote. So don’t forget to enter. Just go here! I will be announcing a winner on Sunday! Well my Friends, time to make myself a little din din. Have a super duper weekend! 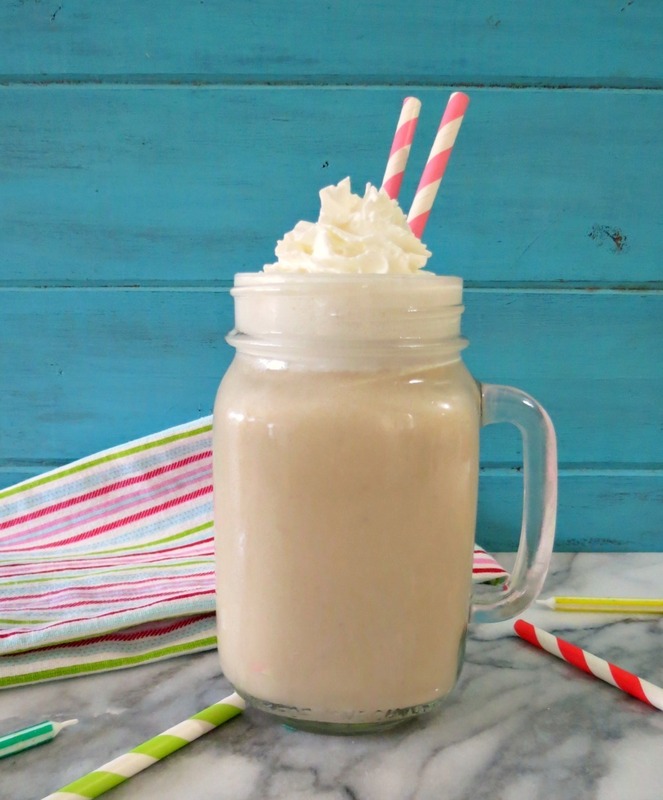 This root beer float smoothie is so clever I have no words! Perfection! Ahhhh, your so sweet! Thank you Jocelyn. 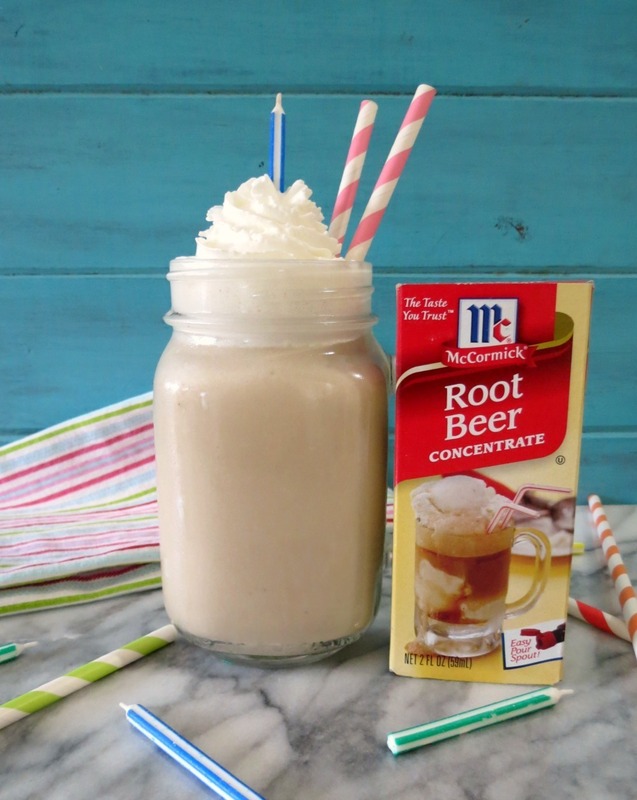 Where do you get the McCormick’s Root Beer Concentrate. I have never heard of it. Hi Vicki! You should be able to buy it at the grocery store with the extracts. I have seen it at my local grocery store and Walmart. What a fun, unique smoothie. I would never have thought to use root beer extract. Very creative! Ahhhh, thank you so much Deeann! This is so good by itself, but I went a step further by adding a scoop of vanilla protein powder & 1/8 c more milk & it was fantastic.